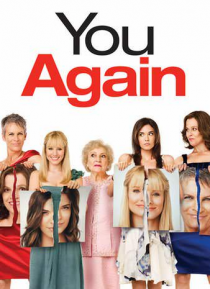 YOU AGAIN, the nonstop laugh fest, is pure fun that features an all-star cast with comedy pedigrees - including Kristen Bell, Sigourney Weaver, Jamie Lee Curtis and the always outrageous Betty White. For Marni (Bell), high school was a horror movie, and her brother's wedding is the sequel when her arch rival comes back to haunt her as his bride. It's nice girl versus mean girl in this hysterical r… eunion with the one person Marni would really like to forget. And if that weren't enough, Marni's mom (Curtis) reunites with her own high school nemesis (Weaver). YOU AGAIN is one crazy comedy that'll keep you laughing again and again.